Today we welcome guest author K. Dawn Byrd to Inkwell Inspirations to share about her writing experience with her latest release. Take it away, K. Dawn. You asked me to tell you something I learned while writing this book. I learned that sometimes a story takes a life of its own and carries me away to places I'd never planned. This Time for Keeps started out as a WWII romance, but ended up becoming a modern day one. My characters gradually took shape and become people I didn't expect them to be, especially my hero, Chase. I'd never planned for him to ride into town on a Harley on a stormy night, but he did. I'd never planned for him to have been previously married and his first wife to have died of cancer, but somehow it happened. I'd also never planned for Chase, the guy who left India a decade ago, without as much as a goodbye, to be so loving and compassionate, and to want her back so badly, but he did. A love triangle takes shape when Chase rides back into town on the night that India has just become engaged to another man. After taking one look at Chase and experiencing all the heart pounding emotions of love and attraction, she begins to question her feelings for her fiancée. Sometimes, I think there's a little bit of this story in all of us. I'm happily married to a wonderful man who I love very much. I'm glad God gave me what I needed when He gave me him. But, I think everyone sometimes wonders what would have happened if they'd built a life with a certain someone. Looking back, I'm so glad I didn't and that God knew what was best for me and that I chose to follow after God's heart. Amazon: Ebook page on Amazon, check it out, or purchase now! K. Dawn Byrd is an author of inspirational romance and romantic suspense. 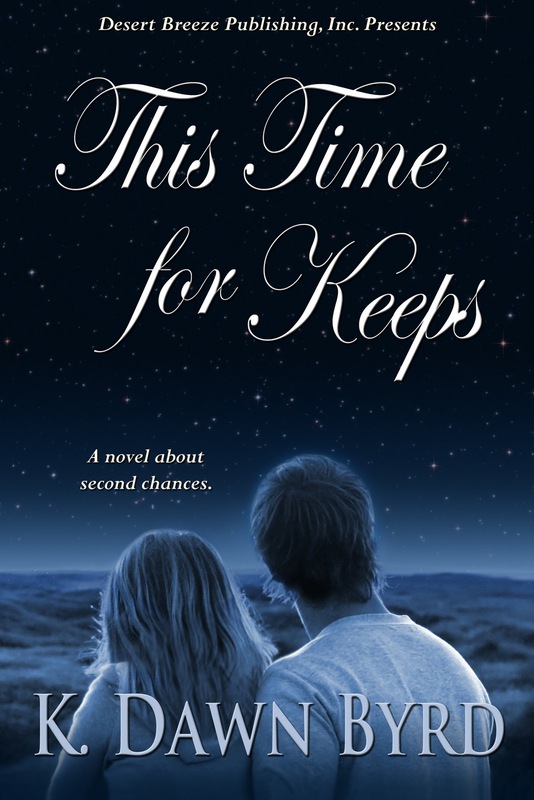 This Time for Keeps is her fourth release in two years with four more books to follow in 2012. Mistaken Identity, her first young adult romance released on June 15 from Desert Breeze Publishing. She enjoyed writing it so much that she'll have four more young adult releases in 2012. The sequel to Mistaken Identity, Shattered Identity, will release in June and a college-age romance/mystery series, The Zoe Mack Mystery Series, will release in January with others to follow in June and December. K. Dawn is an avid blogger and gives away several books per week on her blog at www.kdawnbyrd.blogspot.com, most of which are signed by the authors. 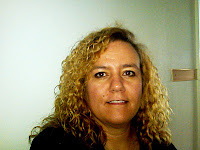 She's also the moderator of the popular facebook Christian Fiction Gathering group at http://www.facebook.com/#!/group.php?gid=128209963444. When not reading or writing, K. Dawn enjoys spending time with her husband of 16 years while walking their dogs beside a gorgeous lake near her home and plotting the next story waiting to be told. Thanks for visiting with us today, K. Dawn. What about the rest of you out there? Authors, have you ever had a book take an unexpected twist? Readers, have you ever wondered what if you took a different path in life? Hi K. Dawn, thanks for stopping by the inkwell. I'm curious, why did your story change from WWII to a contemporary? Thanks for joining us today, Dawn. I'm with Lisa on this one since I started out writing contemporary and switched to historical - but not with the same story. And I'm curious if you'll continue to write contemporary or if you'll switch back. Thanks for your comments. I was already published in historical (Queen of Hearts, WWII romantic suspense) when I started This Time for Keeps, so it's not like it was a new genre for me. For some reason, the story just didn't feel right. My characters didn't seem to belong in that era if that makes sense at all. In answer to your question. I don't currently have plans to write historicals. I've been having the time of my life writing young adult, believe it or not. I have four releases next year and they're all YA! Wow, this sounds like an awesome read and I can't believe how many books you release in a year. Congratulations! Oh, this sounds like a great book. K.Dawn, this sounds like an interesting book. I'm glad you stopped by to share it with us. Don't you love it when you learn something I'm the process of writing? Thanks for joining us, K. Dawn. I've been on a bit of a writing spree the last two days, but I've enjoyed getting to know you better through your article.